The purchase of this film was a happy accident. I had in fact intended to get the 1970's film of the same name. As it turns out this version is considered to be the better film. 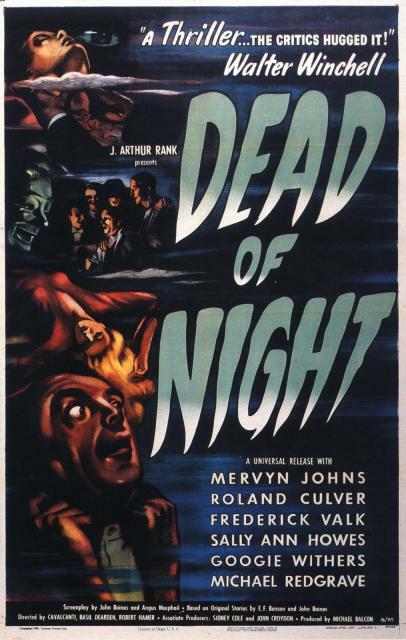 Dead of Night is a black and white portmanteau (compendium) horror film. There is one overarching story with several different tales told in between. In all there are about six short horror tales contained within the ninety minute film. An architect turns up at a country cottage he has never been to before, he is due to stay there for the weekend as a guest of the owner. He is took into the house where he is introduced to five other visitors. The architect is shaky and pale, he reveals that for several months he has been having reoccurring nightmares in which he goes to this very house and meets these very people, but that he can't recall exactly what happens in the nightmare. After making some scarily accurate predictions the house guests with the exception of a psychologist come to believe his tale. The guests in turn each tell a supernatural tale from their own pasts. Despite only being a PG the film is creepy, some tales at least. The first two tales are quite similar, and neither one is that great. The third tale about a haunted mirror is effective, as is the tale about the ventriloquist's doll, and the main tale that links all the stories together is really intriguing and suspenseful. 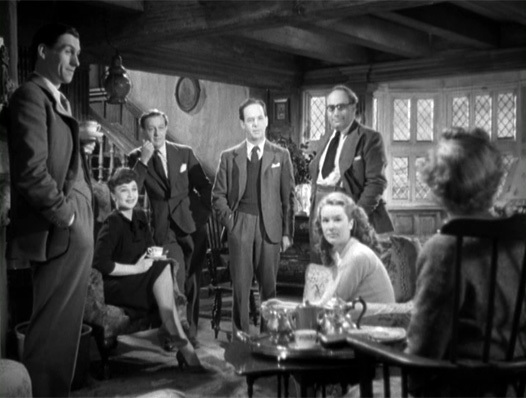 I love this style of film, so if you enjoy the later day portmanteaus (such as Tales from the Crypt, and The League of Gentlemen Christmas special) then I recommend you check it out as it still stands up today sixty five years later!